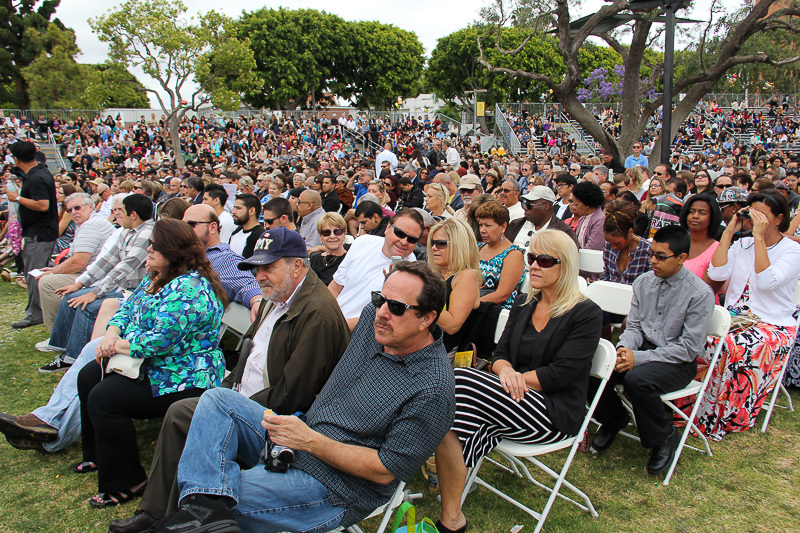 May 22, 2014 - Today we attended the commencement ceremonies for the College of the Arts at California State University, Long Beach. 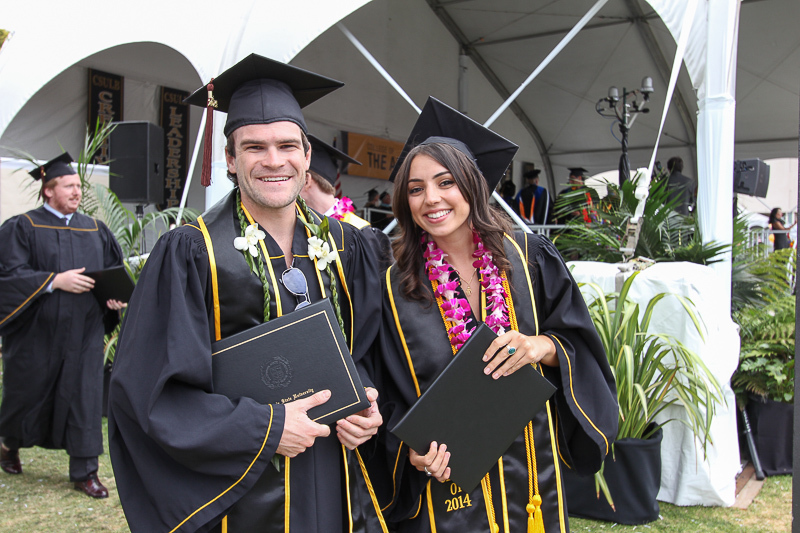 Our nephew Brandon Hale Haas received his Bachelor of Arts degree for Theater Arts and his girlfriend, Nora Zerouali Hall received her Bachelor of Arts degree for Theater Arts - Performance - Acting. California State University, Long Beach (also known as Cal State Long Beach, Long Beach State, CSULB, LBSU, or The Beach) is the second largest campus of the 23 school California State University system (CSU) and one of the largest universities in the state of California by enrollment. Here they are during the processional. Judy's in the center of the picture next to Brandon's dad Bryan, Brandon's mom Sandy and Sandy's friend Shauna. 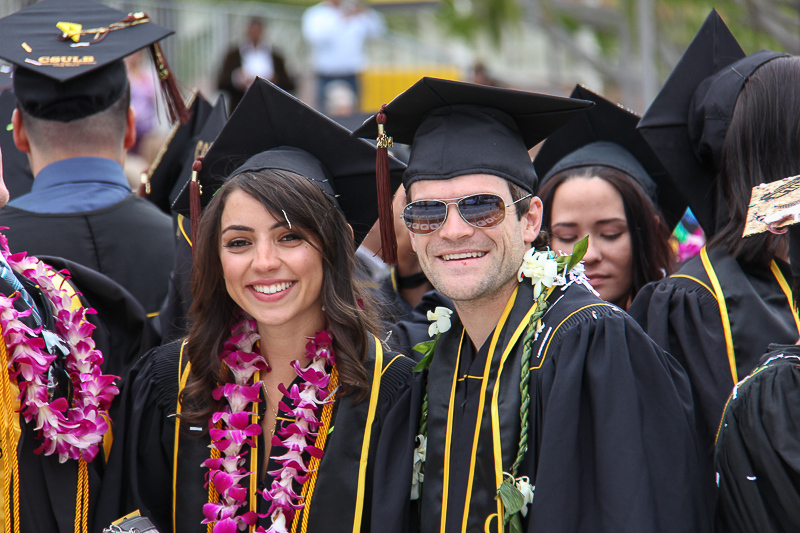 Immediately after receiving their diplomas, Brandon and Nora shared a hug and a kiss. What a moment! 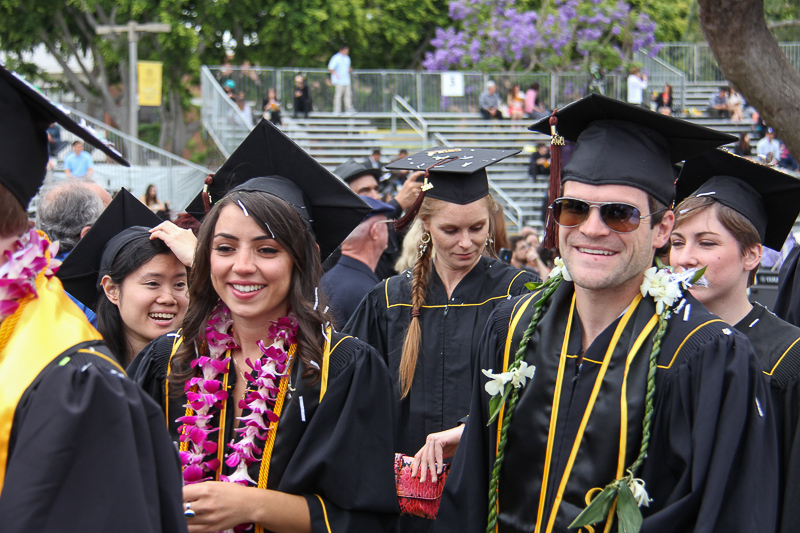 Congratulations to the new 2014 graduates! 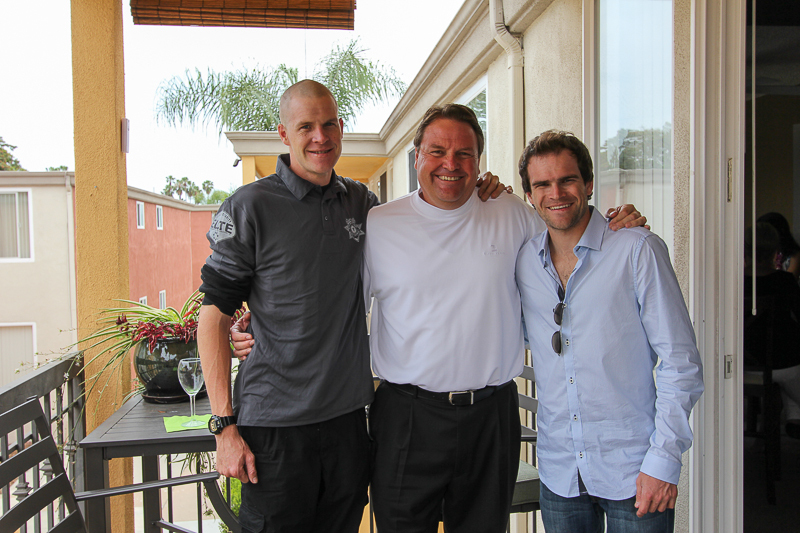 Matt, Bryan and Brandon celebrate after the ceremony.